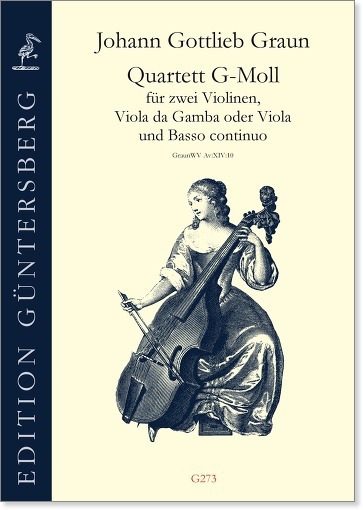 The quartet in G minor has come down to us in seven manuscript sources, among which the manuscript by the gambist Ludwig Christian Hesse is the most important. 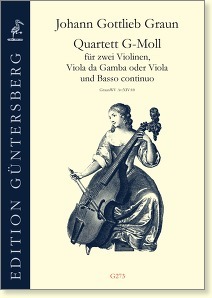 The third part is available in two versions: for viola da gamba and for viola. This quartet is a fine example of Graun's highly expressive style. Displaying poignant melodic lines, jaunty passagework, and attractive imitations across three voices underpinned by a strong bass line and interesting harmony, it is easy to see why the work was so sought after in its own time and possibly much later.